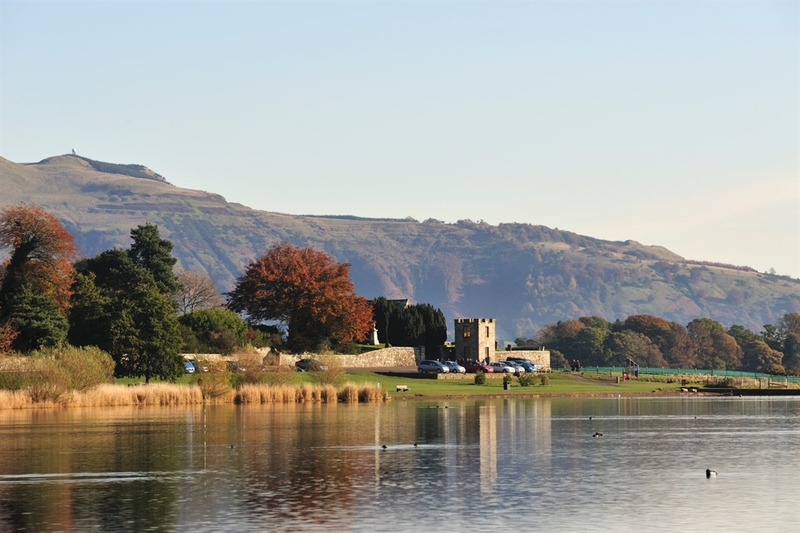 With the old castle sitting on it's isolated island, Loch Leven is an impressive sight. It dominates the area around Kinross and over the centuries has been responsible for shaping the landscape. The surrounding hills provide a large catchment area for rainfall resulting in a constant and plentiful water supply with fertile land surrounding it. 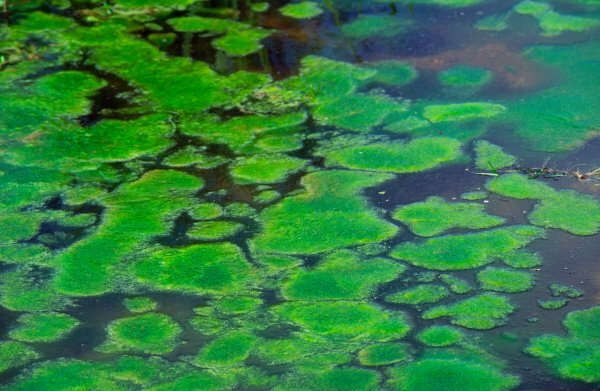 This mixture of a large catchment area and fertile soil led to serious problems during the 19070's, 80's and 90's with blue-green algal blooms a common occurrence. June 1992 saw a serious episode that led to a health scare and questions being asked in parliament. The primary culprit of the blooms was the volume of phosphate entering the loch. While naturally occurring phosphate would result in approximately 5,000kg entering on an annual basis the loch was often receiving nearer 20,000kg annually. The increase was due to farming practises and both public and private sewage systems that lacked the ability to remove phosphate from their output. The Loch Leven Catchment Management Plan was created in the late 1990's with a view to restoring the loch to it's former glory. The plan encompassed many different aspects with phosphate mitigation being one of them. By 2015 the annual phosphate intake to the loch was nearing 8,000kg and the quality of water in the loch was greatly improved (slides from a talk about Loch Leven given in June 2017). It's a great success story but why am I writing about it? Well, the property we bought falls within this catchment zone and that has various implications for our application. The plot we bought had planning permission for a property and so this had been demonstrated to the satisfaction of the planners. Sadly that was in 2010 and the supporting evidence isn't available now so we may have to go through the exercise again. The plot isn't able to be connected to the mains sewerage so will require it's own treatment plant. The septic tanks installed in years gone by are no longer allowed and so a full treatment system is required. Not only is a treatment system required, but the system installed must also have the ability to remove phosphate from it's output. Removing 100% of phosphate isn't possible but the reduction required is large with no more than 2mg/litre being permitted. Meeting these targets requires a modern solution and we were happy to find that the BioRock system, with an additional chemical treatment element, can meet the targets. However, you can't just say you will install a particular system and move on, you actually need to be issued a licence as the discharge of treated waste is considered a Controlled Activity within the Loch Leven Catchment Area! Once your planning is approved you can apply for a licence under the SEPA Controlled Activities Register (CAR) legislation. The required forms are daunting to say the least and quite technical in nature. Once issued the licence requires that the system be maintained and grants SEPA the right to inspect it and check the output for compliance, so it's not merely a rubber stamp. In our case, we have a CAR licence that was issued on the basis of the existing planning permission, but this is not, in itself, sufficient basis for the granting of planning permission. We're presently waiting to see what else needs to be provided to meet the mitigation requirements. Watch this space!